Textual Records is a record label dedicated to the distribution of sound, music, and text by contemporary artists. As a form of publication, the label focuses on the simultaneity of inscription - the textual, sonic, and musical markings created within the context of art. Limited editions are produced in LP, CD, or cassette form in collaboration with the artists and other entities. 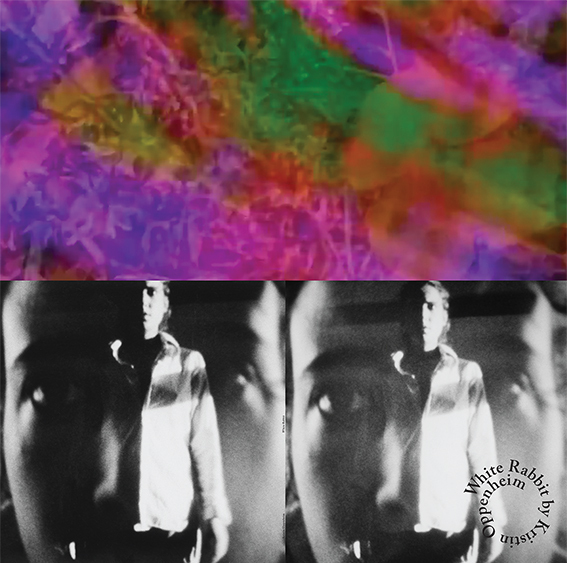 INFO: White Rabbit is a new vinyl LP by visual artist, Kristin Oppenheim. The music and vocals were recorded in 2015 at The Garden, Brooklyn, NY and produced by The Garden and greengrassi. Credits include: bass and guitar by Tony Fennell, drums and percussions by Drew Vogelman, vocals by Erin Carden and Kristin Oppenheim. White Rabbit, at greengrassi, London, UK.